In case you haven’t heard, kale is the new black. 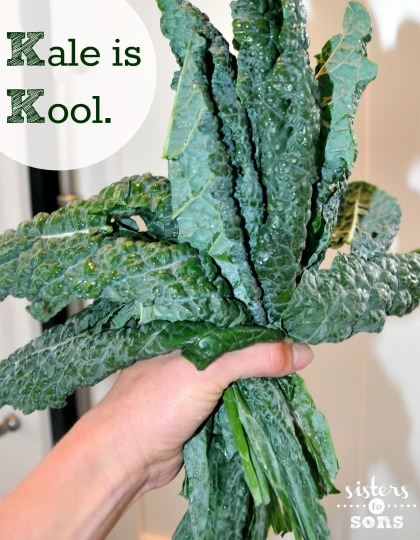 I am just going to come right out and say it: If you aren’t eating kale these days, you pretty much aren’t kool. Over medium high heat, sauté onion and carrot in olive oil in large pot until tender (about 8 minutes). Add ground chicken to onion/carrot mixture and cook through until mostly white. Add herbes de provence and mix until combined for about 1 minute. Add broth, water, and beans then cover and allow to simmer for about 10 minutes. Add the kale and continue to simmer for another 10 minutes covered. Add salt/pepper if desired and serve! My 1, 3, and 5 year old love this soup! My 3 year old even requested it for lunch today again. There are so many substitutes you can use so be creative – turkey instead of chicken, rice instead of beans, red pepper flakes (but not as many) instead of herbes de provence, garlic it up etc…….. but you gotta have the kale. According to my 5 year old you can’t even taste “those green leaves”. This looks delicious!! Definitely trying it this week!! sounds delicious! I love kale. def will try! This looks so, so delicious. And healthy too! 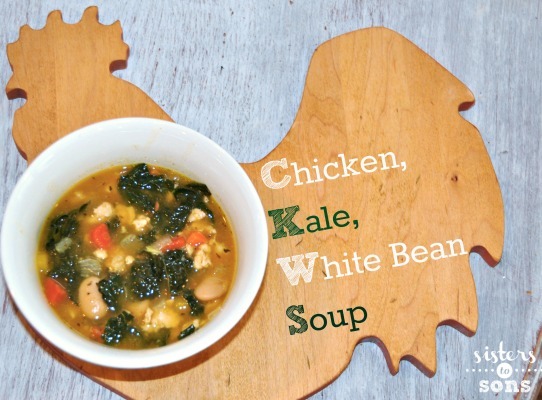 I’m so curious about Kale soup! I do kale chips, but I still wonder if I’d like it. Must try! 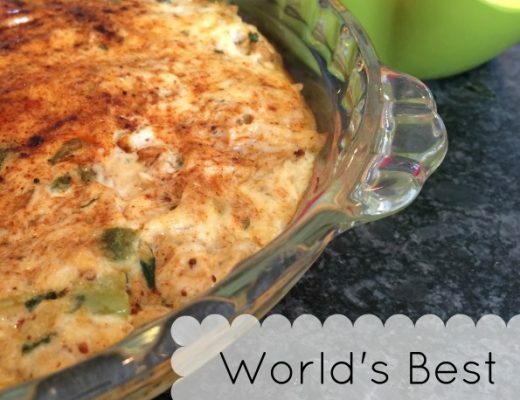 Looks delish; pinned and can’t wait to try it!